BridgeWater Assisted Living Deer Valley is where modern upscale beauty meets cutting-edge technology at prices seniors can afford. Conveniently located near the Phoenix Metrocenter, our cozy neighborhood community is nestled between 27th Avenue and Union Hills Drive next to Interstate 17. Residents can take full advantage of living near excellent restaurants, shopping, and places of worship, as well as close to healthcare providers and other medical services. When our residents are happy and engaged in life through meaningful activities, they will enjoy living their lives to the fullest. 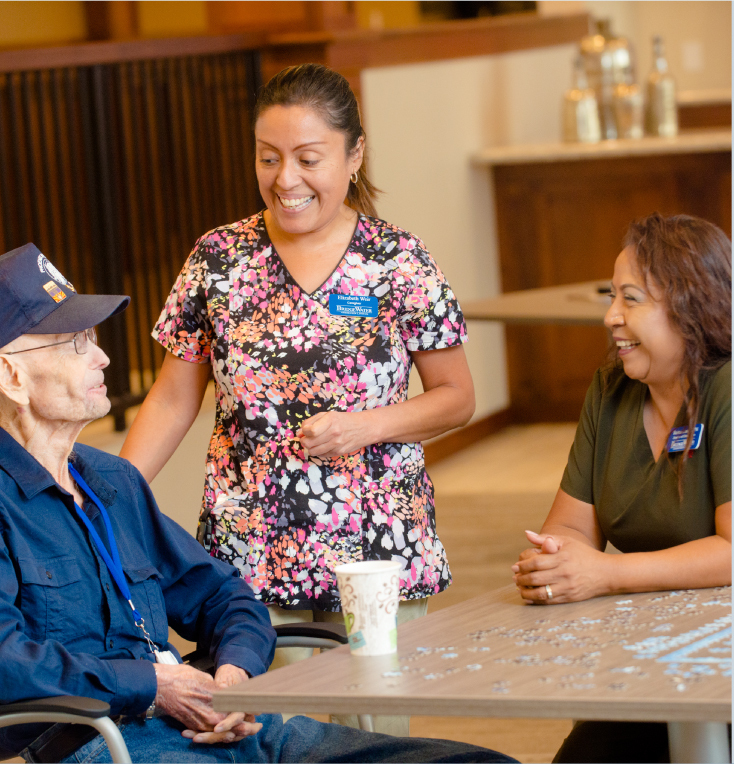 BridgeWater Assisted Living employs a resident-focused approach to providing services; offering a variety of activities and events to keep our residents as busy as they want to be. Our residents choose how they want to spend their day – whether it’s enjoying a book in the library or joining some friends to play games or signing up to take an art class – our residents enjoy beautiful common spaces to gather with friends. Every BridgeWater Assisted Living apartment is equipped with Great Call Technology™ proactive technology. This exciting technology is designed to improve wellness outcomes for our residents by allowing our care teams to ‘see behind the door’ in a manner that is private and non-invasive. Great Call Technology© provides a wide range of clinical data that helps our staff deliver better care to our residents. Careful monitoring of data allows our healthcare team to proactively identify emerging health concerns, and quickly address them with less downtime and better outcomes for residents. We also want to help seniors and families cut through the red tape to find the information they need to afford assisted living. That’s why we have a dedicated Community Benefits Advocate available to help you explore options for qualifying for financial resources. Contact the Community Benefits Advocate at (602) 281-9535.